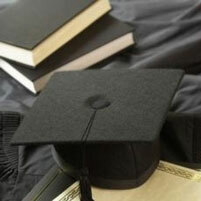 Thesis Servicing is the UK’s premier private-sector owned student loan administrator. The business is part of the Link Financial Group and was created in response to the ever growing demand for public and private sector higher education funding. We operate a purpose built customer service centre and system which means we are able to manage the full life cycle of a student loan from origination to settlement. We also offer deferment and arrears management services to address the needs of those borrowers who are unable to keep to their scheduled payment plan. Thesis Servicing is committed to providing an excellent service to our clients and customers. You can contact us by telephone on 0333 004 5045 (or if calling from abroad: +44 2920 808 684) or by email at mail@thesis-servicing.co.uk. Since 2008, Thesis Servicing has been responsible for administering a portfolio of student loans sold by the UK Government in 1998 and now owned by Finance For Higher Education (FFHE) Limited. March to May is traditionally a busy period for deferment applications; please find below some useful information that may assist you with your application. The deferment threshold is currently £30,737 (equivalent to £2,561.42 per month). The Student Loans Company, PO Box 4033, Glasgow G52 4XL. Please refer to the guidance notes included with your deferment pack for assistance in completing your application. Alternatively, please click here for further advice.